A good friend has requested me to write about lousy cafe in Singapore! I told him that as much as every school is a good school, every cafe is a good cafe! I guess it’s about who you are with at the cafe and the total experience you had at a particular space and time! 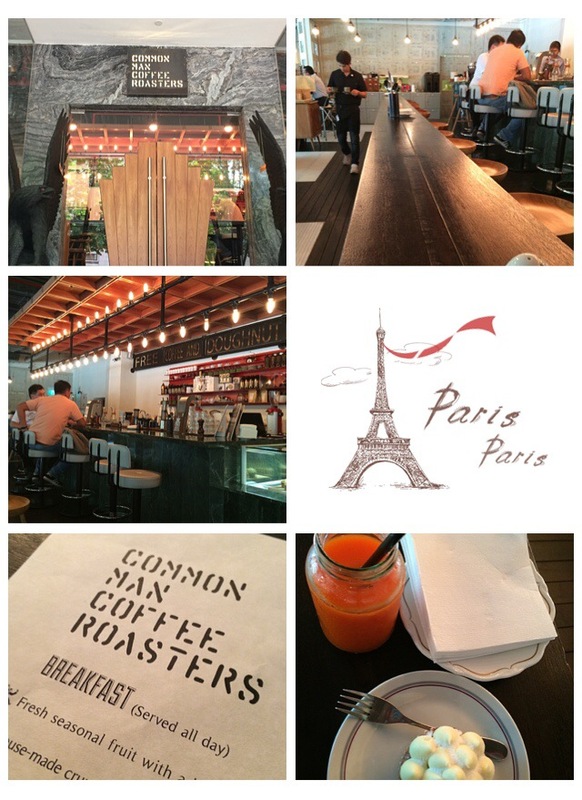 So, it is not my intention as a cafe hopper to pin down any cafe …. Every cafe has it’s uniqueness and every cafe is the heart and sweat of the cafe owner or owners. 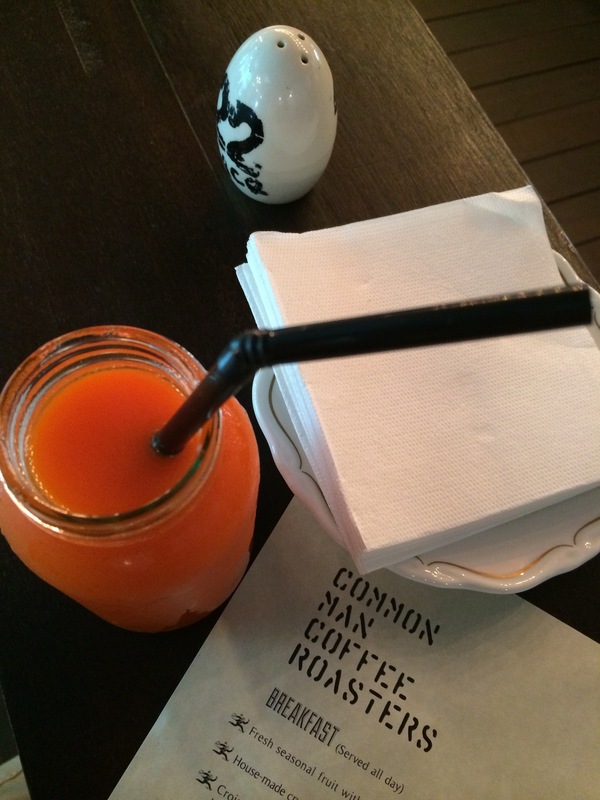 With that in mind, let me share my experience at Common Man Coffee Roaster. As you approach the cafe you will notice that it has a very club like door! Well, I didn’t really quite like the door, cos it doesn’t give me the feel of a cafe at all! In fact I was rather disappointed! When you enter into the space, well, you feel an energy that automatically liven you up! The music…the lighting…the staff and etc! However I just feel that the overall decor and the cafe theme do not match well! I like the long table right at the center of the cafe and a big round table! There is a lot of counter bar seats available…. And certainly more style to be seen there! However, the brightly lighted counter … I just find it quite a miss match! Perhaps it’s just me! 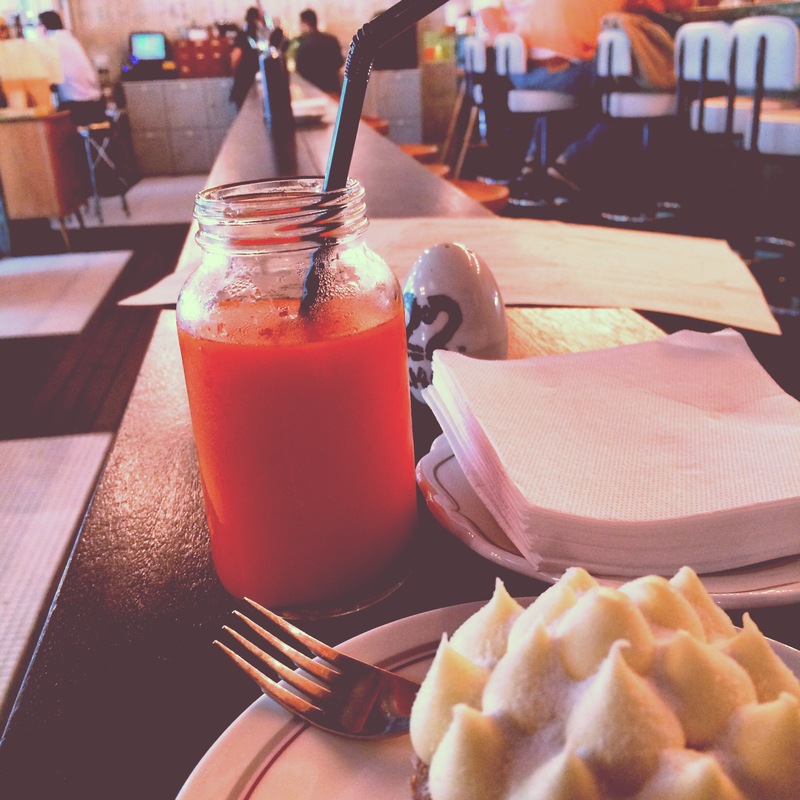 I ordered the carrot cake and a glass of orange ginger juice! The concoction is refreshing and the carrot cake is nice and pretty unique in shape and size! My overall experience in this cafe is rather average …. And I certainly won’t travel all the way to visit this cafe! Directly on top of the cafe is an Argentina restaurant… That sort of interests me… But I didn’t walk in this round!